Offshore operators conduct drills and exercises to test equipment and ensure key personnel and external resources are trained and prepared to respond. Exercises can be held both on-water, where a spill is simulated and response equipment is deployed, or via table-top, which would involve participants walking through a hypothetical spill scenario and discussing the steps that would be taken to respond to such an incident. These exercises help responders practice their skills and can also help identify improvement opportunities in spill response planning. While the primary focus of the oil and natural gas industry is on preventing spills from ever happening, the industry is also prepared to respond should an incident occur. 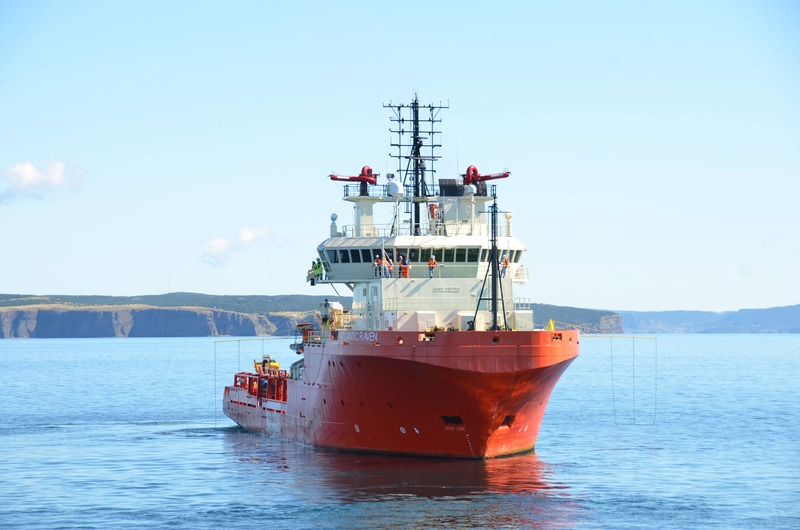 Every year companies operating offshore Newfoundland and Labrador hold a joint on-water oil spill response exercise to deploy spill response equipment and put their emergency response systems to the test. The most recent Synergy exercise, coordinated by Suncor on behalf of NL operators, included the deployment of the NorLense 1200-R Self Inflating Boom and the TransRec 150 Weir Skimmer. Operators offshore Newfoundland and Labrador purchased the system jointly as the self-inflating boom is the current standard for Norwegian offshore operators’ oil spill cooperative and can be deployed and recovered in less than half the time required for other open-ocean systems. During the most recent Synergy exercise operators also successfully demonstrated how dispersants could be used in the event of a spill. Suncor’s long-term charter vessel, the M/V Atlantic Raven, one of two supply vessels used during this year’s exercise, has an onboard dispersant application system consisting of a pump and two dispersant spray arms. These arms are permanently attached to the vessel and are moved to the outboard position when mobilized. The system can deliver 60 litres of dispersant a minute through nozzles on each arm. The 2014 Synergy exercise involved two vessels and more than 60 participants and crew members. Participants in this exercise included regulators, government officials, fishing industry representatives, and representatives from companies exploring and producing offshore Newfoundland and Labrador.